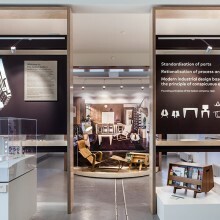 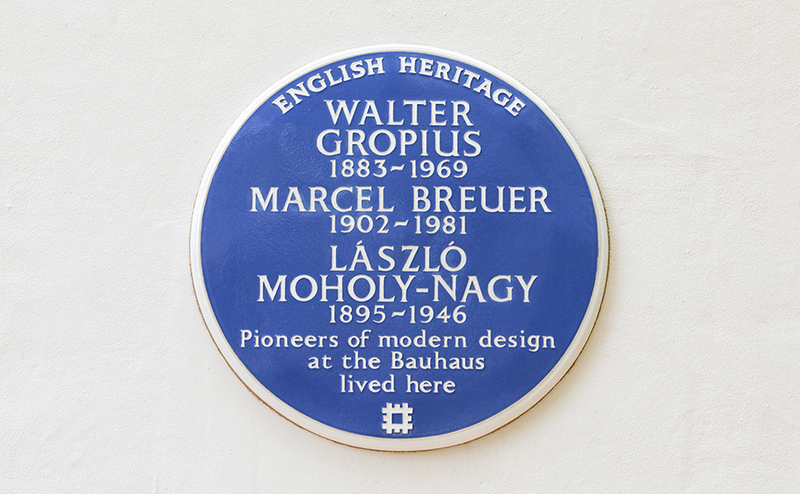 Walter Gropius (1883-1969), Marcel Breuer (1902-1981) and László Moholy-Nagy (1895-1946) – all designers and teachers at the Bauhaus, the vastly influential German art school – have been commemorated with an English Heritage blue plaque. 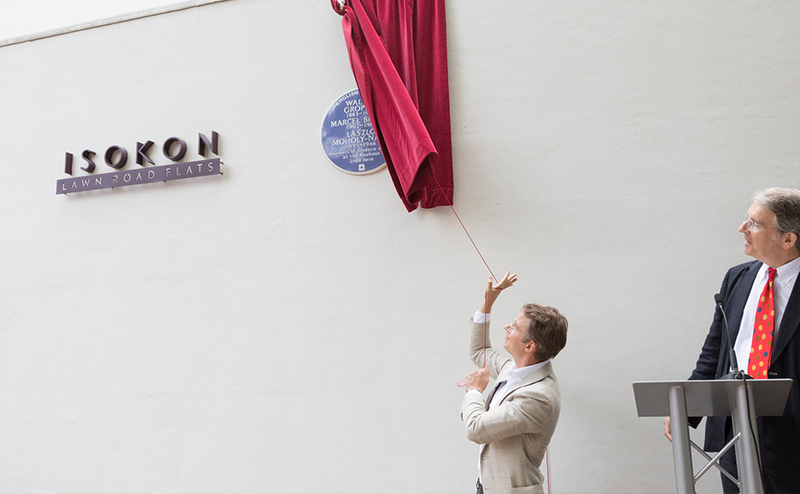 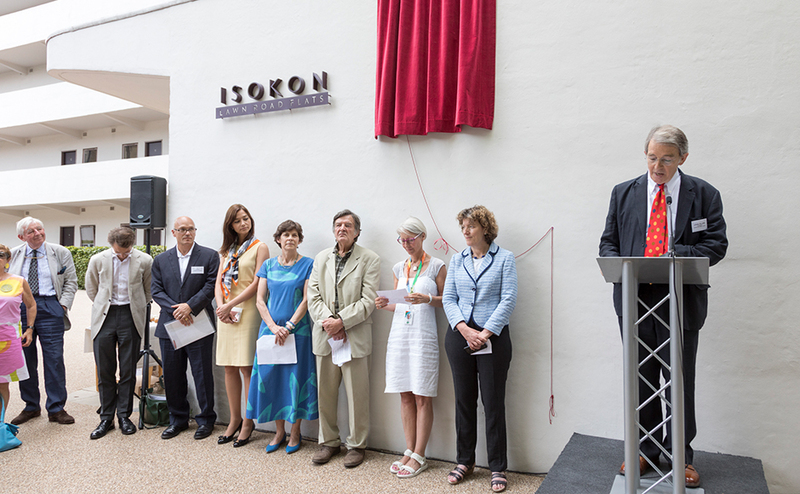 The plaque was unveiled on the Grade 1 listed Isogon Building, refurbished by Avanti Architects, in Belsize Park, where the trio lived and worked in the 1930s. 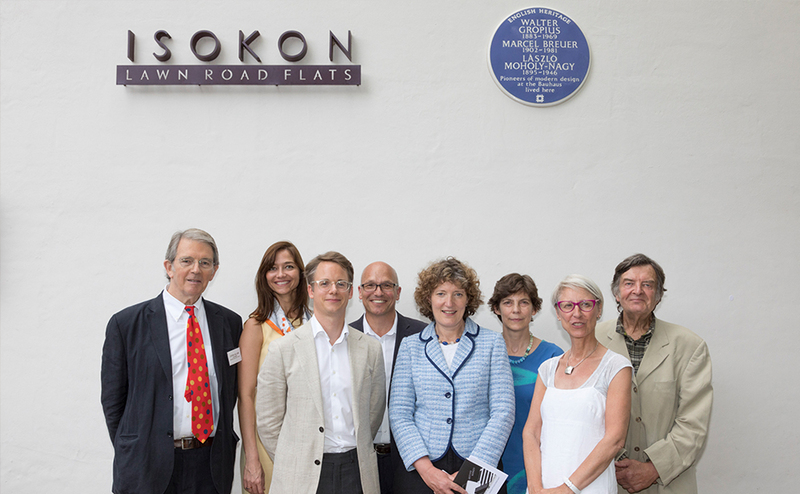 Other speakers at the event included Kate Davies, Chief Executive of Notting Hill Genesis; Gerry Harrison a former Camden Borough Councillor and campaigner for the Isokon; Charlotte Schwarzer, Head of Culture and Education at the Embassy of the Federal Republic of Germany; Kristóf Szalay-Bobrovniczky, Ambassador of Hungary; John Pritchard, grandson of Jack Pritchard the original client, on behalf of the Moholy-Nagy family; and Wolf Burchard on behalf of the Gropius family. 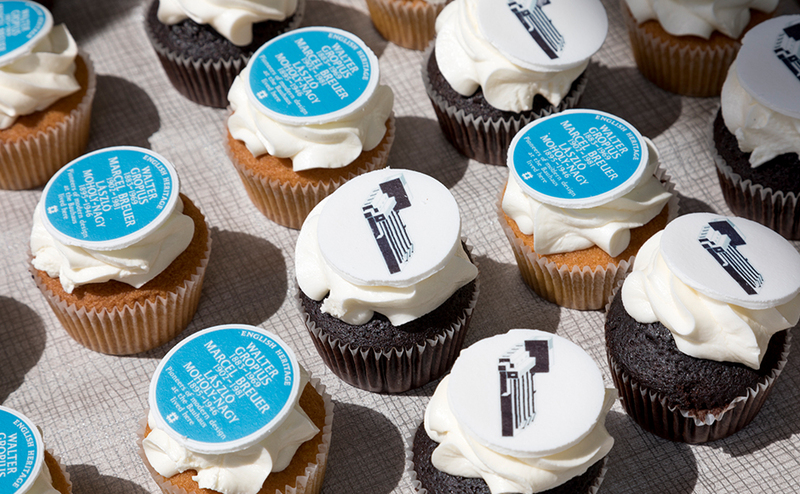 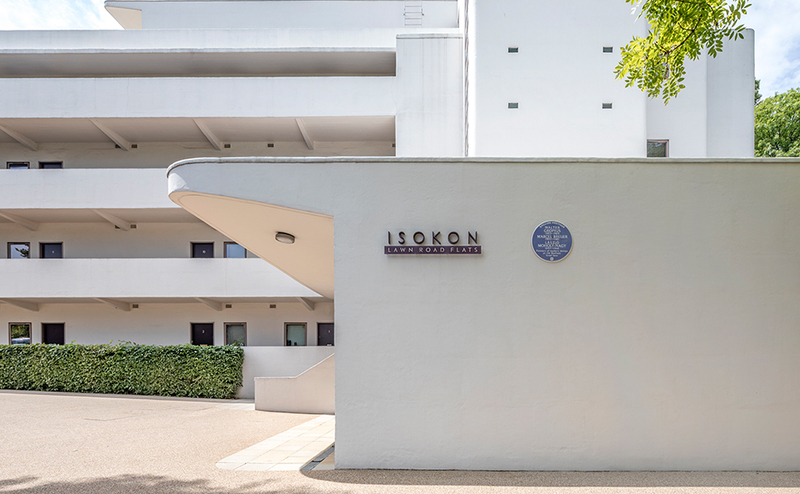 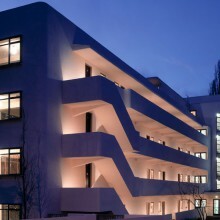 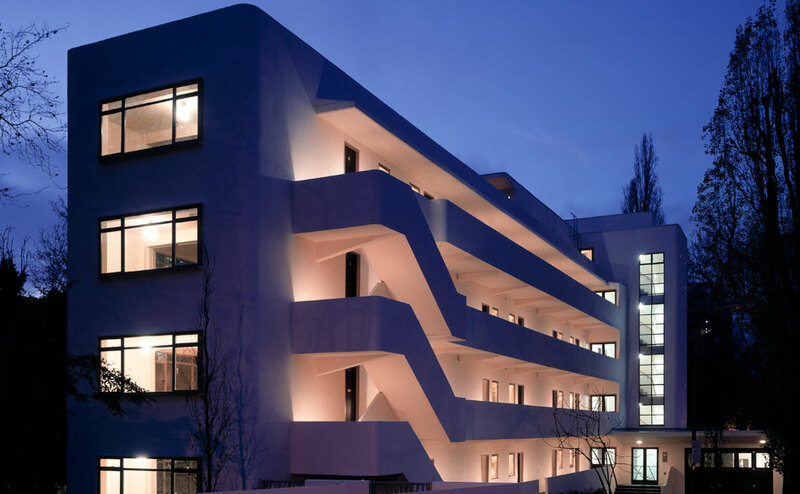 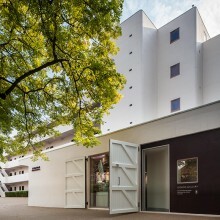 For more information on the award-winning restoration project and the Avanti-designed Isokon Gallery located within the former garages visit our Isokon and Isokon Gallery project pages.